It’s arguably the best time of the year in New Orleans right now. Yes it’s spring, but in addition to blooming flowers and pleasant weather, it’s officially festival season! French Quarter Festival will bring four days of incredible New Orleans music and food to the entire historic French Quarter neighborhood. Take a look at what you can expect and reserve April 7-10, 2016 on your calendar for French Quarter Fest fun, just a short drive from any of our New Orleans area apartment communities! French Quarter Fest spans the entire downtown neighborhood, with more than twenty music stages scattered throughout. Enjoy some of the city’s best artists with genres ranging from blues to jazz, funk, rock, brass bands, Cajun and soul. It’s hard to say if the music or the food is better at French Quarter Fest, but luckily, attendees can enjoy both to their hearts’ content. There are a variety of food options available at French Quarter Fest, each with delectable delicacies like jambalaya, meat pies, snoballs, alligator sausage, oysters, crawfish, bread pudding, po-boys and much more. Because New Orleans always takes their festivals to the next level, it doesn’t stop at the food and music. There’s just as many other events going on as the food and the music, including the second line kick-off parade, an entire family section with kid-friendly activities, a film fest, free dance lessons and much more. 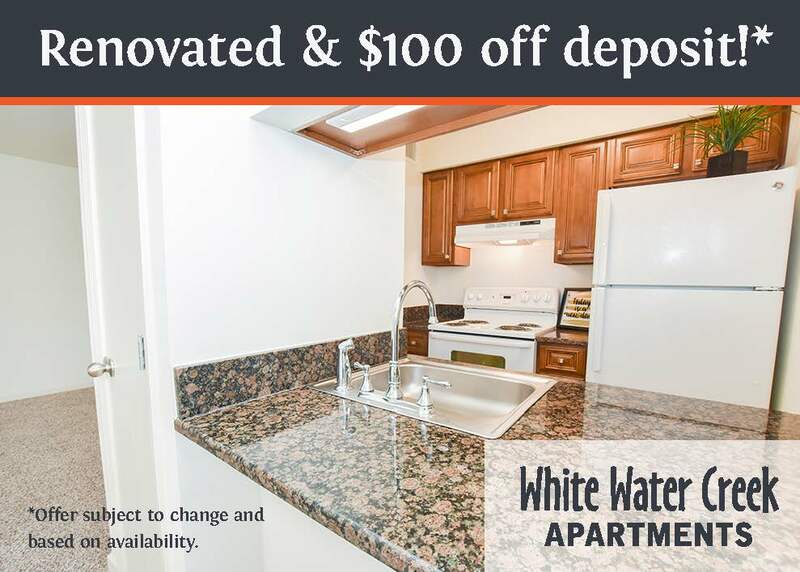 Many of our properties, especially those in Metairie and River Ridge, are just a short drive from downtown New Orleans. However, be aware that French Quarter Fest brings in a lot of traffic, so you’ll want to avoid parking in the French Quarter itself and seek parking garages in the Central Business District instead. 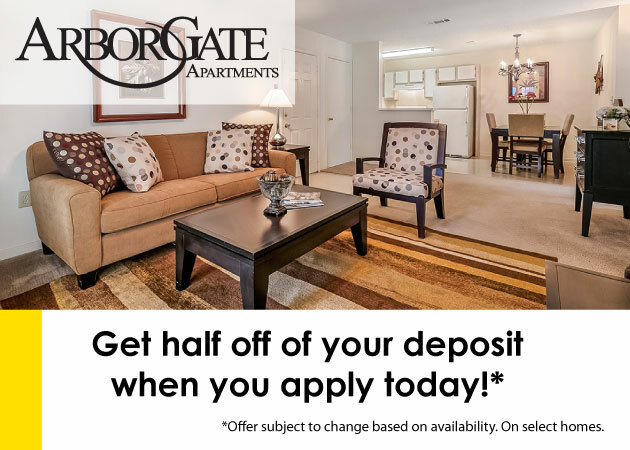 Spring is finally here and that means change and new beginnings, not only with the weather, but in your own apartment, too. Whether or not you’re on the messy or neat-freak side of the spectrum, the spring cleaning tradition is always a good annual practice. Spring is all about fresh starts and rebirth, so your apartment should mirror that. Besides regular chores like putting clothes or dishes away, sweeping, and cleaning the bathroom, this is your chance to pay attention to detail and store, sort, or get rid of extraneous clutter. Wax wooden furniture with paste wax after cleaning surface with a damp cloth and dish washing liquid. Ensure clean window treatments by machine washing draperies or curtains and wiping down wooden blinds. Wipe off dust on ceiling fans with a damp cloth or paper towel. Vacuum and shampoo rugs with an industrial shampoo machine. Use a duster on house plants like orchids or ferns. The plants will immediately look brighter and refreshed, plus you’ll be removing surface dirt and grime! Wipe down walls, ceilings, fronts of cabinets to scrub off any old residue. Clean the tops and sides of appliances such as microwaves, refrigerators, and stove vents. Clean the freezer by turning off the power to defrost it, clear out all contents and wipe interior with a solution of two tablespoons baking soda per one quart hot water. Clean crevices between appliances. Use a crevice attachment on your vacuum or a long, thin duster to capture grime between nooks and crannies. Clean salt & pepper shakers and reusable condiment dispensers. Wipe and disinfect the outside of bottles and empty, clean and refill the containers. Clean the inside of the microwave. Heat up water and lemon in a glass container for a few minute prior to cleaning to make removing food particles a breeze. Clean and disinfect remote controls and game controllers. Remove any artwork from the walls, dust it, and replace. Take couch cushions and pillows outside, fluff them up, and leave in the sun to air out for a couple of hours. Meanwhile, use a vacuum to clean out the crevices of sofas and armchairs. Clean any curtains (follow their individual instructions) and wipe down windows both inside and out using glass spray. Discard old cosmetic or hygienic products. Deep-clean the toilet using a bleach-based cleaning product. Wipe down all baseboards to instantly brighten the bathroom and give it that “clean” feeling. Wash your shower curtain and replace shower curtain liner. Disinfect and rinse all surfaces including the tub, sink, and faucets. If needed, clean the grout as well. Polish surfaces like sinks, vanity, mirror, and even the toilet paper holder! Clean washable pillows to get rid of any lingering odors or bacteria. Wash all bed linens, including mattress covers. Flip your mattress before replacing clean linens. De-clutter any surfaces like nightstands or desks. Remove and clean any artwork or mirrors. Clean monitor screens and keyboards of computers. Get rid of any old papers, taking care to recycle when possible. Rearrange daily-use items so that they’re within easy reach. Store items you use less often, like a stapler or envelopes, inside your desk to keep your working surface clean. Clean out your computer, carefully reviewing and deleting any old documents, emails, or photos to free up valuable storage space. Separate out unwanted clothing and accessories (see below for how to donate these items). Repurpose shower hooks to hang items like belts and handbags. Enlist a friend. Sometimes a second opinion can help you decide what suits you best and what you no longer need. Invest in smart organization pieces like slim hangers and shoe organizers. Change batteries in smoke detectors and make sure all units are thoroughly dusted. Take care of any outdoor plants, perhaps repotting them or freshening up the soil. Part of making room for the new is getting rid of the old, and one of the best ways to do that is to take inventory of your possessions and evaluate what you want to keep. We love the method outlined in Marie Kondo’s best-seller, The Life-Changing Magic of Tidying Up: The Japanese Art of Decluttering and Organizing. The gist is this: starting with your clothing, go through all of your possessions, category by category, and keep only those items that spark joy when you hold them. Shelters – Community shelters in your area are a great option to donate your clothes and household items. Shelters can always use donations and there will always be people who are in need of clothing and other items. Bridge House and Hagar’s House provide services to those in need in the southeast Louisiana region. 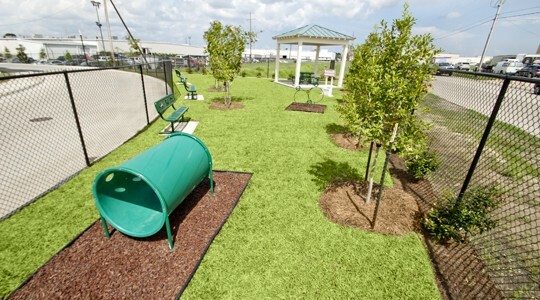 The Green Project also provides a recycling guide for the greater New Orleans area, with details about local organizations that accept donations of various materials. With its meaty texture and family-friendly size, cabbage is a versatile vegetable for weeknight meals (bonus: it stores beautifully and has a long fridge life of up to two months!). Cabbage is a cruciferous vegetable that boasts anti-carcinogenic properties, so it’s a great food to incorporate into your diet. Whether you caught a cabbage in the St. Patrick’s Day parades or just picked one up on special at the grocery store, here are a few cabbage recipes ideal for a side dishes or entrees. Sauteed Cabbage and Apples: A quick saute of green cabbage helps the vegetable retain its satisfying texture while also adding a touch of sweetness thanks to tart, crisp apples. Get this basic recipe from My Recipes. Once you’ve mastered it, feel free to improvise! Try adding an egg on top for breakfast or stirring in some grainy mustard (and keep scrolling to learn how to transform this side into a main dish). Braised Red Cabbage: This dish from Bon Appetit can be made ahead and reheated — perfect for a busy weeknight! Pantry ingredients like vinegar and chicken broth are all you’ll need (bacon is optional). “Unstuffed” Cabbage Rolls: Cabbage rolls are a beloved preparation of the vegetable, but they can be tricky. Get all the flavor without any of the persnickety rolling by cooking all the ingredients together in a skillet. About Food has the easy recipe. Smoked Sausage with Cabbage and Apples: Remember the quick sauteed cabbage and apples recipe in our Sides section? Simply add in your favorite smoked sausage (we like turkey kielbasa) for an instant main dish. Shortcut Choucroute: Chef Mark Bittman found a quick and clever way to prepare a whole cabbage with his shortcut choucroute recipe. This easy main dish requires just about 5 minutes of prep. Let the oven do the work — you’ve got better things to do! For more recipe ideas, visit our Cooking Tips hub on the blog. In our busy culture, free time is often painted as a luxury rather than a necessity, but it is exactly that: a necessity. To give your body and mind a chance to unwind, refresh, and rest, you need to take time for yourself. In order to create more free time for yourself and spend it wisely, you must first know where your priorities lie. Step away from your computer and spend some quiet time by yourself with pen and paper. Imagine how you want to remember your life, looking back on it in old age. Think about what aspects of your life you want to fill those memories. Maybe it’s time spent with friends and family, or maybe it’s running marathons around the world. Plan out your priorities and write them down. Keep a copy of this list close at all times, and when life begins to get hectic, take a step back and remember what really matters to you. When work, friends, family, and hobbies all add up to a packed schedule, free time can be hard to come by, but actively scheduling time for yourself to spend free of obligations can help reset your mind and make you a happier person. Sometimes that means carving out when you give yourself permission not to worry about anything else in your life. Add daily or weekly appointments to your calendar for self-care and honor this time with yourself. During your scheduled “me time”, don’t cheat yourself. Unplug and don’t let work creep into your well-deserved time away. Ignore emails and stop checking social media for just a little while. Try to stay away from television and the computer all together. Your brain needs a rest in order to maximize productivity when it’s time to get back to work. Instead, go for a walk outside, read a book, meditate or throw a one-person dance party in your living room. Your future self will thank you for this time spent re-charging. In our digital age, technology and social media can keep us from interacting in person. In addition to scheduling time in your calendar for yourself, schedule recurring dates with close friends and family as well as your spouse or partner. Make regular plans to meet friends or family for dinner or coffee. Enjoy laughing with your favorite people. You’ll remember how much you crave and miss that connection the moment you see their faces. Make time to do things that are authentically you. If you care about animals, volunteer at an animal shelter; if you love painting, get outside and paint something new. Make time to do those things that make you who you are; doing this will not only remind you how much those things mean to you, they can bring a renewed energy, as well. If you are a busy person, one of the best things you can do for yourself is take a rest. Schedule a nap or take time to lounge around and do nothing. Our bodies, minds, and souls function best when rest is included in our lives regularly. Balance is important for achieving our best possible selves. Our time is precious and finite, and as much as we would like, it’s not possible to say yes to everything. Show some respect for your own time by saying “no” more often. Before saying yes to a new project or event invitation, take a moment to really evaluate if that opportunity aligns with your goals for your life. How Do You Make Free Time? 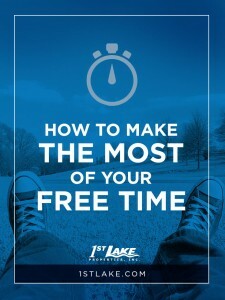 Do you have additional tips for carving out free time for yourself? Share them with us on Facebook or Twitter.